On November 29, 1911, Laura from Island Creek mailed this happy holiday card to Russell Loring here in Kingston. 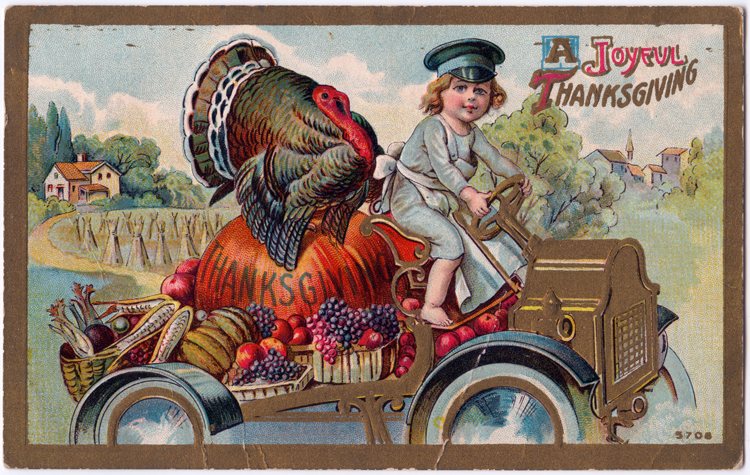 This year, I’m thankful that my turkey is home in the refrigerator, not gallivanting around town with some hot-rodding kid and a pile of fruit loot! A joyful Thanksgiving to all! From the collection of Jennie Mclauthlen, Kingston’s first Librarian. Raisin Pie. — One cup chopped raisins, two cups of water, one teaspon mixed spice, one cup cracker-crumbs, two cups sugar, one cup of vinegar, one-half cup butter, one beaten egge. Boil and fill pies; bake three-quarters of an hour. One oz. stick slippery elm. Two quarts water — boil to a little less than one qt: strain and boil in a little more water, to get strength all out — strain again– ] add 1 pint of molasses. Boil down to thickness of honey about 1 1/2 pints. When done, add 1 Table-spoon of whiskey. Add the licorice after the herbs are boiled and strained. 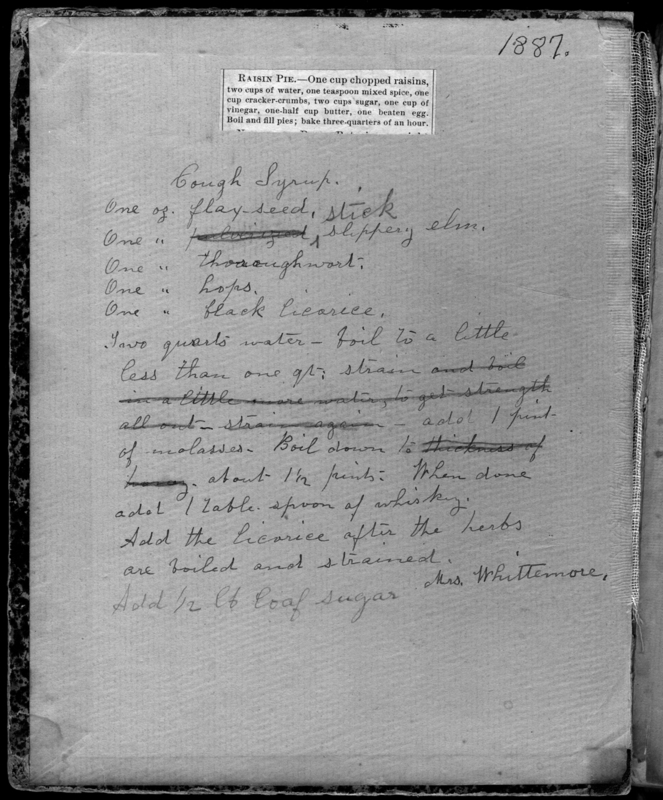 Archivist’s note: Feel free to make the raisin pie, but don’t make your own cough medicine at home from this recipe. That would be foolish. 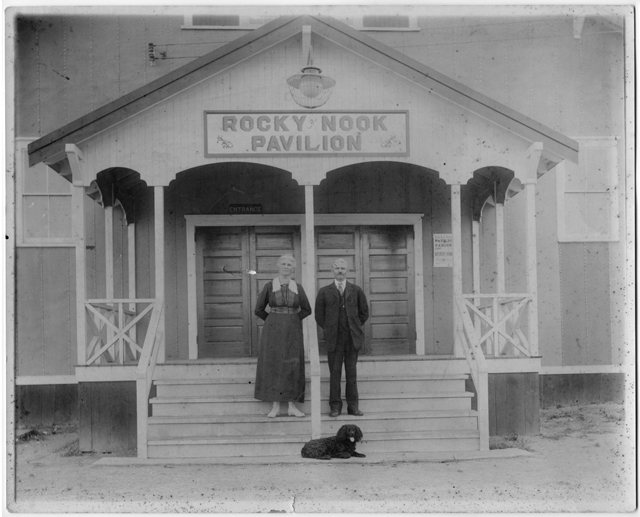 This photograph just turned up in a recent donation to the Local History Room. It has no date, no place, nothing beyond the image itself. 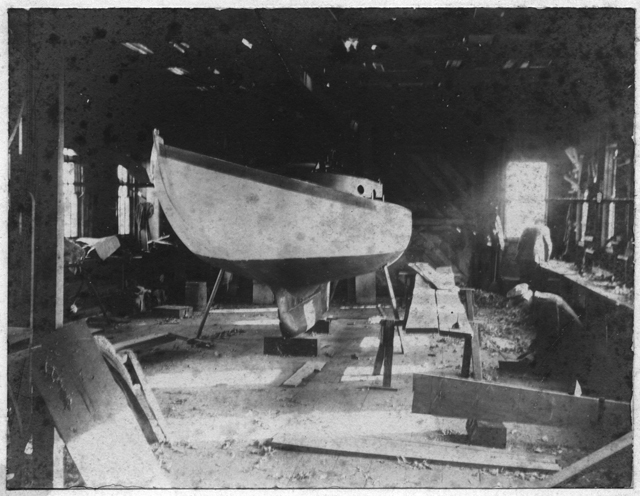 Context and best guesses, however, suggest that it dates to the late 19th century and shows the interior of one of the small boatyards on the Jones River. Further, the vessel under construction very likely belonged to a member of the Holmes family. More research may turn up additional information. In the meantime, enjoy the unusual view. One of Kingston’s first school teachers, Martin Parris was born in Pembroke in 1766. He attended Brown University; in May 1794 the Kingston Selectmen hired him to teach school at an annual salary of seventy pounds. That same year, he married Kingston native Julia Drew; they would eventually have three sons, all of whom predeceased them. Parris taught in Kingston for about eight years, then continued teaching in Plymouth for several more. In 1792, he was inoculated against smallpox. This certifies that Mr. Martin Parris, having received the Small-Pox at my hospital, is properly cleansed from the infection, and has paid the customary fees for inoculation, board and attendance. And who was Ephraim Wales? 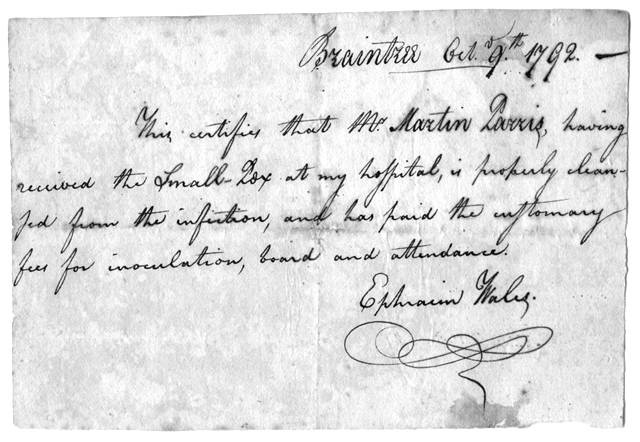 Born on May 9, 1746, in the South Precinct of Braintree (later Randolph ), Ephraim Wales was “an eminent and successful doctor.” After graduating from Harvard College in 1768, he studied with Dr. Amos Putnam of Danvers, then returned to South Braintree to establish his medical practice. He opened a smallpox hospital across South Main Street from his home, where in 1777 he inoculated Continental Army soldiers after General George Washington ordered all troops and recruits who had not had the disease to undergo the treatment. A year earlier, the disease had struck the Army severely, part of an epidemic that affected the new country between 1775 and 1782 and killed an estimated 125,000 people. Though the first inoculations in North America dated to 1721, town residents opposed Wales’ hospital. The disease had a frightening mortality rate and inoculation, also called variolation or insufflation, meant purposeful infection with a milder form of the disease to create immunity. A true vaccine would not be developed until 1796. 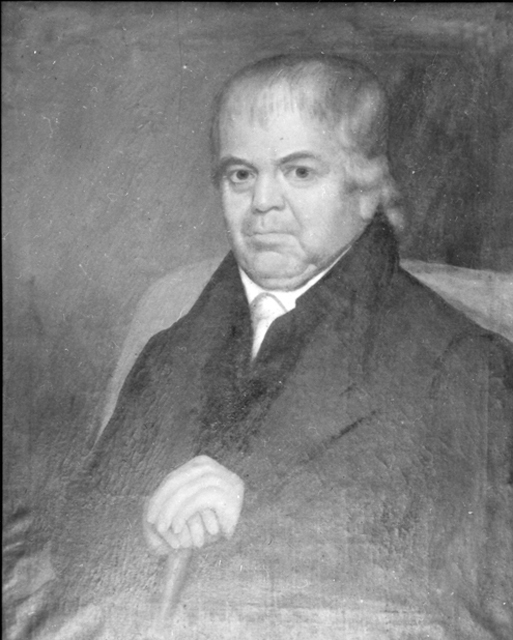 In 1793, Dr. Wales served on the committee that formed the town of Randolph from the South Precinct, and as the first town moderator. He also taught a number of medical students. He died April 7, 1805.